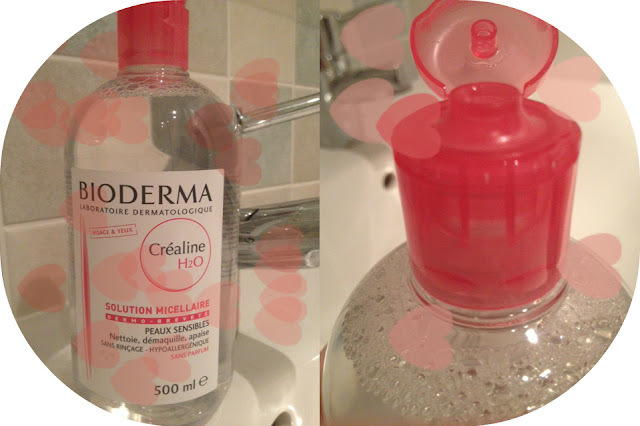 I have been scouring the web for Bioderma Créaline for a fair while now but have always been quite hesitant to buy these from Ebay, in case it is in fact only bottled water that I end up buying. I had to get it shipped across from France and I bought it from a website called Le Guide Sante. The bottle of solution itself only cost £8.50 however, with shipping on top it was closer to £21.00. Yes this is quite expensive for something that is essentially bottled water, but lets remember that it isn't. • Sensibio H2O is an ultra-mild cleansing formula, use it with the utmost care. Soak a cotton pad with Sensibio H2O and cleanse the face and eyes and/or remove any make-up. Repeat the application until the cotton pad remains clean. • Sensibio H2O needs no rinsing, but it is essential to dry your skin. Dry gently. Dab your face with a clean cotton towel. • Sensibio H2O can be used daily, morning and evening. You have to be really careful not to use too much of this on the pad, you only need a small amount at a time, you do not want the cotton pad to be saturated, dab little and often to get a lot of use out of this. My bottle arrived yesterday and so far I have used it last night (as I was so excited) and this morning. So far so good! Plan to update you all in a weeks time, but I can confirm my makeup came off quickly and my skin felt as fresh as a daisy afterwards and this morning. 'beckymortimer' sells this on Ebay, I ordered a bottle, £10.95 and £2.70 for shipping. Got it in less than 24 hours, brilliant! Three: enter simply how much you're planning on making being a down payment in your car purchase pay day loans Uk you contain the liberty of using this money up for the day if you receive your salary check.